There are several ways of squeezing more power out of an engine. Some people, however, decided to go down a different route and simply install a second engine. Almost all two-engined cars, though, are made by enthusiasts and are rarely driven on roads. We have compiled a list of five cars that were made to be serious vehicles, not drag racers or museum pieces. 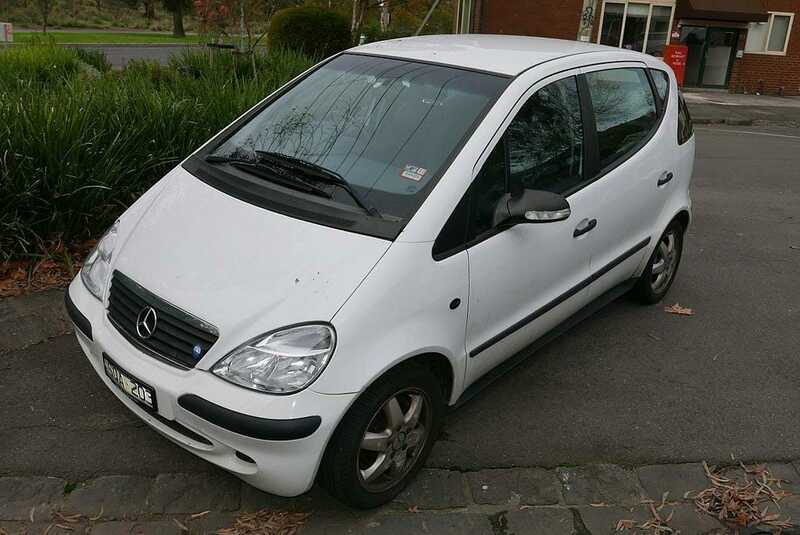 The Mercedes A-Class W168 was a dull car. It was ugly, characterless, not really good quality and had an awkwardly-high floor. However, it did have an innovative safety feature – its engine had its cylinders mounted at an angle which allowed the engine to have a lower profile. That meant that in a case of a front collision, the engine would simply slide underneath the floor, protecting the car occupants. A nice feature that did not actually bring safety, since the higher centre of gravity made the W168 fail the elk test. However, AMG decided to have a go at it anyway. Rather than working on the engine to try squeezing some more power out of it, the AMG engineers chose a different direction –they installed another engine in the back. Because of how low profile it is with its slanted cylinders, it fit under the floor of the trunk and even left a lot of room for luggage. What are the benefits of two engines? Well, instead of 125 hp, it now had double the power – 250 hp. The engine in the back drove the rear wheels, but it could’ve been turned off if the driver did not feel like going fast. The A38 AMG was also lower, had a wider track and better brakes than the standard car. But, as you might imagine, the series production was never started – only 4 or 5 A38 AMG cars were built. John Cooper is one of the biggest names in the automotive world; a true engineer with a strong passion for his work. Even today you see his name on the best hot-hatches that MINI produces. However, sometimes even John Cooper went down the crazy route. John Cooper almost died when he crashed this twin-engine Mini. British Motor Corporation once wanted to offer its Mini Moke SUV to the military. However, it was not really an SUV – it looked like one, but it was too Mini to be of any use for the military. BMC thought that a four wheel drive could improve its usability so it installed a second engine at the back to drive the rear wheels. It was a bizarre move that didn’t get the military’s attention, but it did get Cooper inspired. He decided to make a Mini like that. And, believe it or not, a second engine did fit in the back of a Mini, even though the rear seats had to go. In the back there was a 1.2 litre 96 hp engine, driving the rear wheels. In the front – 1.1 litre with 82 hp of power. 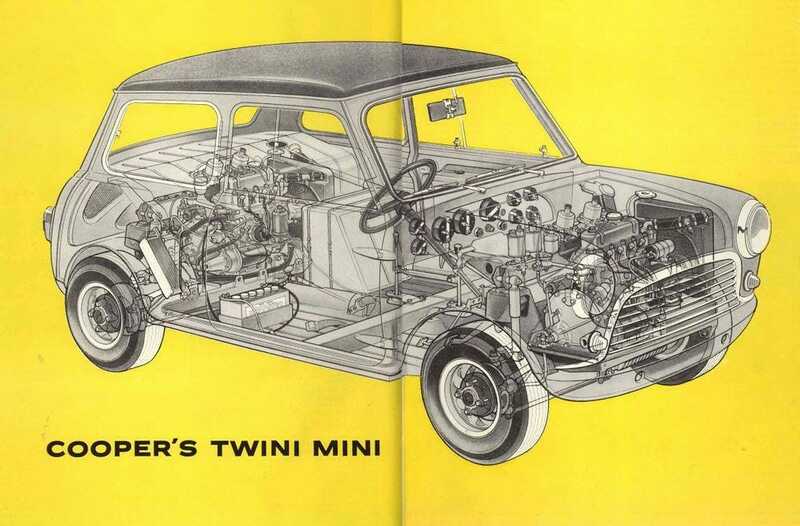 So the MINI Cooper Twini had 178 hp of power – a respectable amount for such a tiny car. However, in 1964 Twini suffered from mechanical failure and got into a big accident with Cooper himself behind the wheel. It was the end of the Twini, but Cooper recovered. Citroen 2CV was quite a cute little car – and a useful one too. It was designed to put people from rural areas on the road so it had to be able to deal with bad surfaces however, it was not an SUV. Weirdly, Citroen wanted its 2CV to be useful for military as well, so a four wheel drive system was needed. And how do we get a four wheel drive system? That’s right. 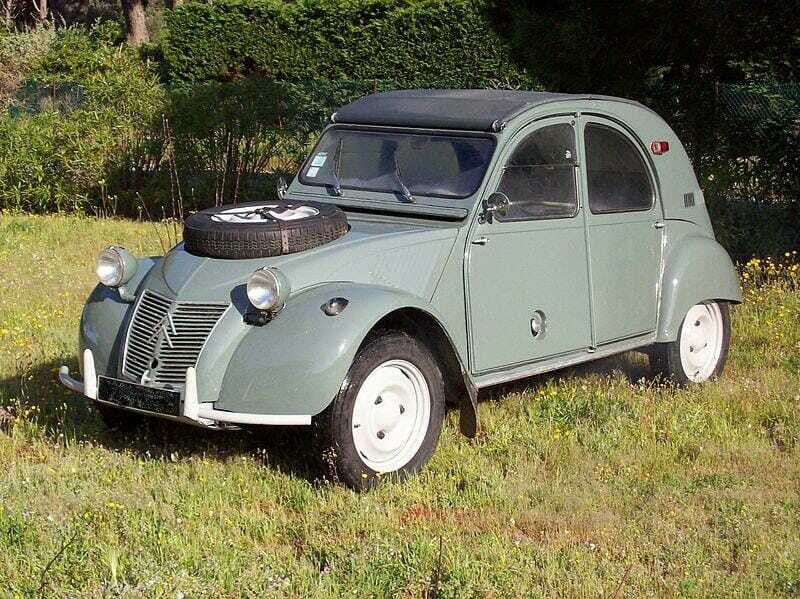 2CV got yet another powerhouse – a 12 hp two cylinder air-cooled engine in the back of the car was driving the rear wheels. So, in total, the 2CV had even 24 hp of power. The maximum speed grew from 65 km/h with one engine to astonishing 105 km/h with both engines running. While military wasn’t really interested in the 2CV 4×4 Sahara, Citroen was producing them anyway for people who wanted a cheap off-roader. In the period between 1958 and 1971 694 2CV Sahara models were produced. Since we started talking about SUV’s, we should mention a proper off-roader. 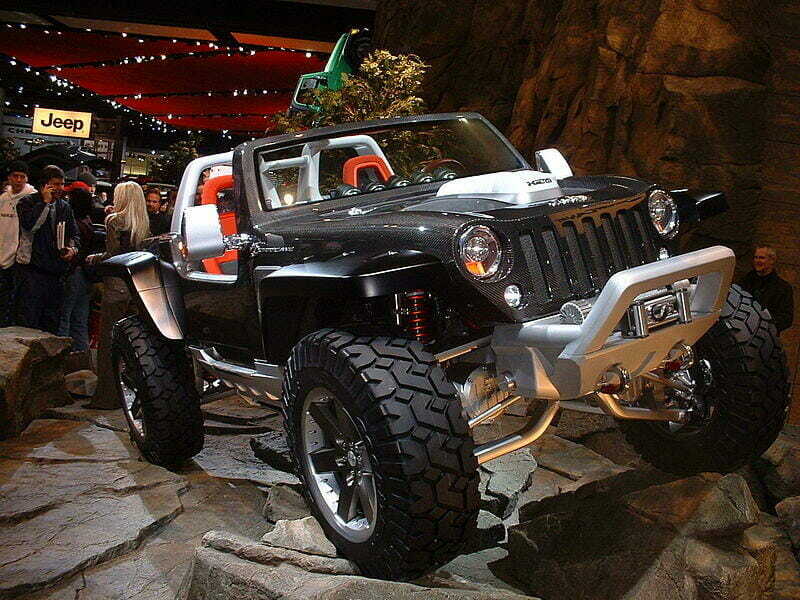 Jeep Hurricane was one of the weirdest Jeep concept cars ever made, introduced in the 2005 Detroit Motor Show. It had two 5.7-litre Hemi V8 engines, together producing 660 hp. If you decided to go environmentally friendly, Hurricane would happily drive on 4 or 8 cylinders. But driving on all 16 was simply more fun. It only took 5 seconds for this beast to reach 100 km/h, although it didn’t feel well on the road. The high centre of gravity and soft suspension meant it was moving around quite a bit. However, it had another trick up its sleeve – it could turn around its axes because of its four-wheel steering system. Obviously, the Jeep Hurricane remained just a cool concept car. Finally, we are reaching something seriously fast. 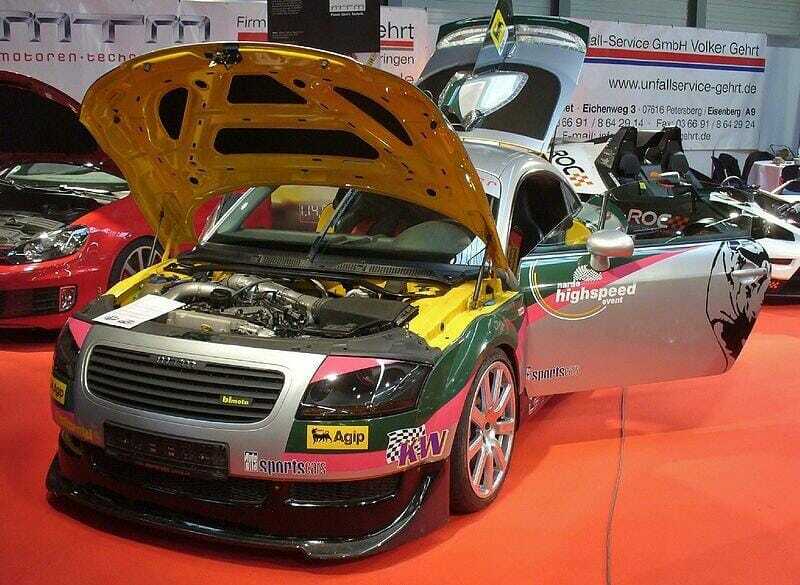 MTM TT Bimoto is a heavily modified Audi TT with two 1.8 litre turbocharged engines, each making 370 hp. In 2007, this car reached its top speed of 392 km/h, which kind of showed that two engines is not that bad of an idea. In fact, for a long time it had been the fastest accelerating Audi in the world – until R8 came along, but even this supercar can’t match the top speed of the MTM TT Bimoto. Factory-made two-engined cars are over. They are impractical, expensive, heavy and do not comply with any regulations. Furthermore, there are better ways to give cars more power. But it is good to know that these cars existed and taking a ride in some two-engined car would be a memorable experience.